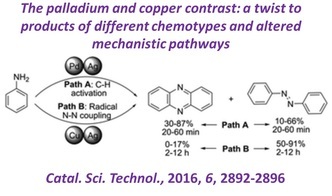 Transition-metal catalysed and organocatalytic C-H activations; Noble and non-noble metal derived nanocatalysts; Hetero-bimetallic hybrid nanocatalysts; Late functionalisation of bio-active scaffolds to generate new bio-active carbogens. Heterogeneous/solid-supported catalysts-reactions on solid support; Applications of microwave dielectric heating and ultrasound; Innocuous alternate reaction media- water, ionic liquids, and fluorous solvents; Molecular level understanding of the role of water in promoting organic reactions; Non-solvent (organo-catalytic) uses of ionic liquids and delineating the role and origin of catalysis for predictive modeling of catalyst design. Development of methodologies for solid/solution phase synthesis of small molecular libraries; Strategies for new linkers and analytical protocols. 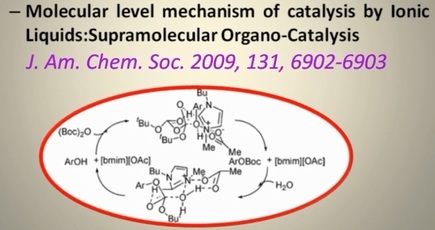 Synthesis of complex carbocyclic/heterocyclic frameworks; Greener synthetic routes to bio-active natural products, cardiovascular drugs, taxanes, epothilones, eleutherobin, lignans and other biologically active molecules; All-water and protecting group-free synthetic strategies.